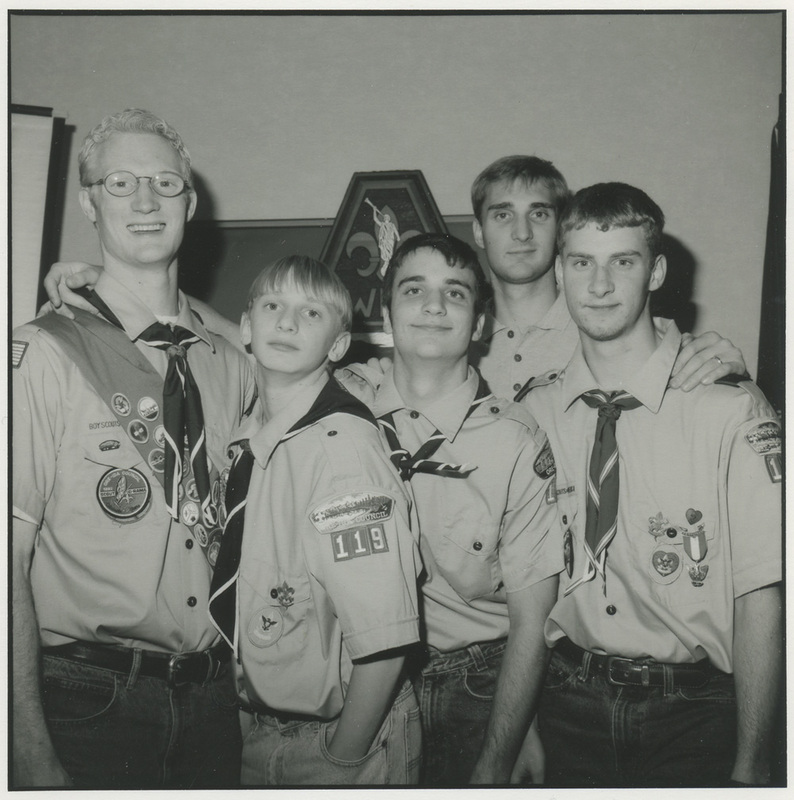 On this occasion in 1997 my brother, Joseph got his eagle badge in the Boy Scouts of America. All my brothers got to the Eagle rank in scouting. To my everlasting shame I never achieved that rank. I should have, but never did. There’s only one thing I don’t understand in this photo. Why is Jacob taller than me? Jon, would you help me/us? I’d sure appreciate your input on a similar cituation. Please, what is your email address? RossAnne is correct. I was earning my cross-dressing merit badge that day. So, yes, I was wearing high heels.